Did you know that shoppers are more likely to make a purchase from a website that shares customer ratings? Boost your website's credibility and share your customers' feedback with FTD Online Rating Service for just $39.99 per month (a $149 value). 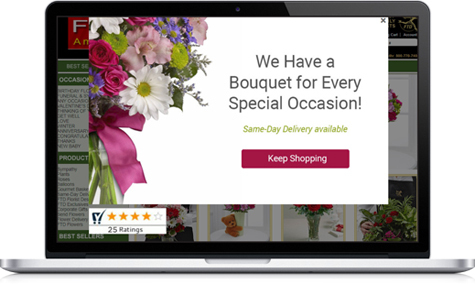 FTD Online Rating Service can help you showcase that you are a five-star florist! Start driving more online traffic today! Call 866.926.5197 to sign up.